Whilst the exact origins of Rum are unknown, it is certain that by the middle of the seventeenth century it was being drunk at alarming rates going by the name of Kill-Devil in all of the sugar producing colonies of the Caribbean, Central and South America be they British, French, Spanish, Dutch or Portuguese. Rum is made from sugar. By and large it is made from Molasses, which is the sweet, tar-like ooze that is left over from sugar production. Mix that with water used to wash out the sugar boilers and leave it in the Caribbean sunshine for a couple of days and it will produce an alcoholic beverage. When this is distilled, you have rum. When that rum gets stored for any length of time in an oak barrel, its flavour softens and becomes more complex. When Rum was transported back to England, a journey of some weeks in the seventeenth century, it was noted that the drink became much more palatable. Of course, this is not the only way to produce rum, in Brazil the juice of sugarcane is fermented directly, without making the sugar first. When distilled this is called Cachaça, which is rarely aged, tastes subtly of ripe sugarcane, and is drunk in extraordinary quantities in Brazil. Another version made from cane juice is Rhum Agricole from the French island of Martinique. 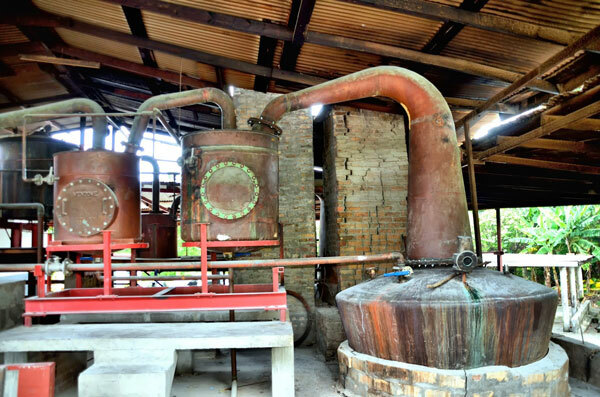 Here the spirit is aged to make a very complex drink that some say rivals Cognac, though in the tropical heat, the ageing process is much faster. Ageing doesn’t always have to happen so fast, however. Ron Zacapa from Guatemala is a molasses-rum that is aged at 2300m above sea level, making the process much slower. Zacapa is aged in a solera for up to 25 years resulting in an outstandingly complex, if slightly syrupy rum. Rum also has a long tradition in Australia where to our everlasting glory, rum was the chief unit of currency in the colony for its first twenty years or so, though the term rum in that instance often meant any distilled beverage. A Spirited Tales Rum Tasting can take in an overview of the Rums produced throughout the world, those of a specific region or type. Talk to us about what you want to try and we can tailor a tasting to you.